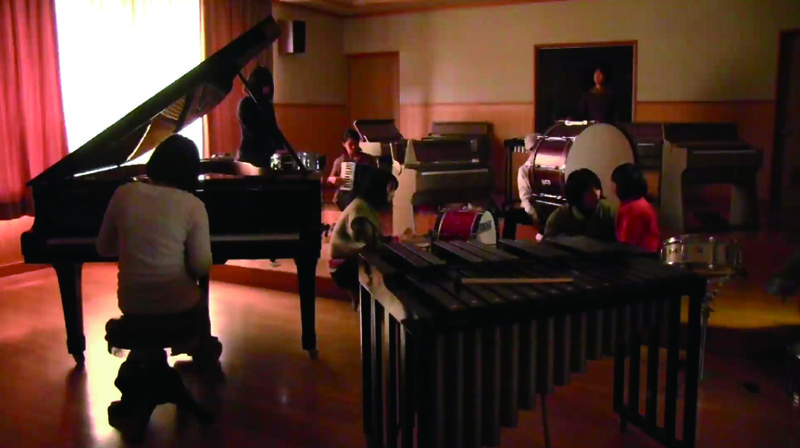 Sound installation using the installments and music room of a closed school. The people who visited made a 45 minutes long music session by imaging three themes, feeling interaction of each other. Until the end of the exhibition, the empty music room was filled with the sound of the record.